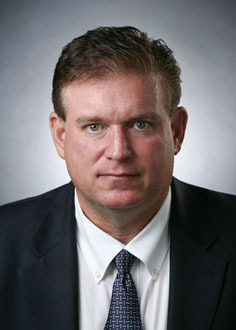 Mark A. Waschak is of Counsel to the firm. Mark practices in all areas of labor and employment law and is primarily focused on occupational health and safety. Before entering the practice of law Mark was an OSHA Safety Engineer and Compliance Officer. He also served as a Site Representative for the U.S. Department of Energy, Fernald Field Office, where he oversaw all aspects of the environmental, safety and health program. Additionally, he was Safety Director of a Fortune 500 company and has extensive loss control experience with two large worker's compensation carriers. Because Mark initially learned his trade from the business and government sides he brings a distinctive dimensionality to his work representing companies preparing for and dealing with OSHA inspections and those enmeshed in OSHA litigation. Mark is a sought-after speaker, particularly by trade associations, on topics ranging from OSHA compliance to loss control strategy. He has been a guest lecturer for the Georgia Institute of Technology. Additionally Mark co-authored the treatise: Occupational Safety and Health Law, Compliance and Practice. (West Publishing 2008-13). Mark received both his Bachelor’s and Master’s degrees from the Georgia Institute of Technology and his J.D. from Georgia State University. He is a member of the American Bar Association and the Georgia Bar Association.